The Fishing kayak is easy to carry and portable. 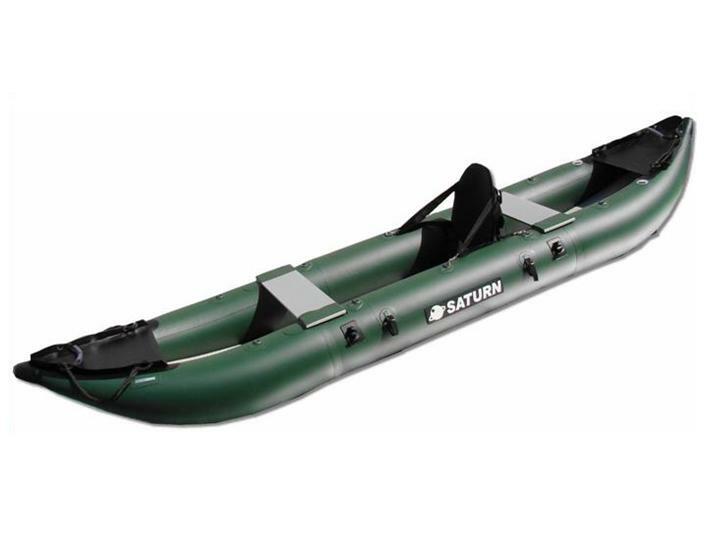 Made with of the same heavy-duty 1100 Dtex PVC as Saturn inflatable boats and rafts. The floor is made of a high-pressure air deck that is extremely rigid when inflated, but can be rolled up when deflated. 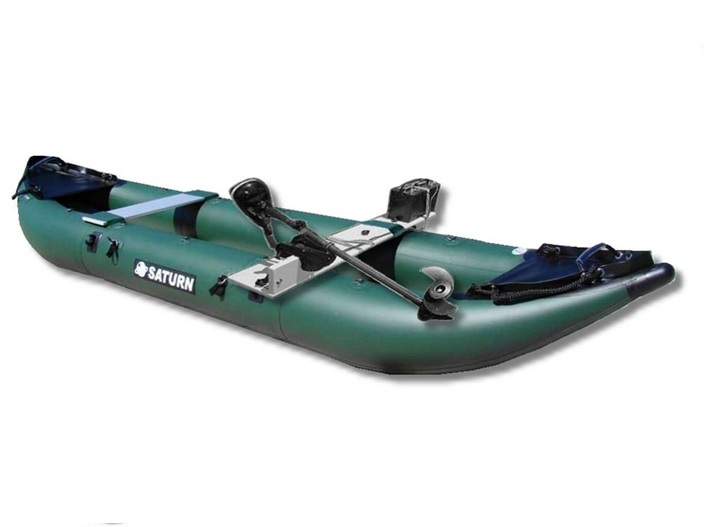 In addition, a double layer of PVC fabric is applied to the air floor and on top of the tubes, in between the benches to prevent accidental fishing hook accidents. 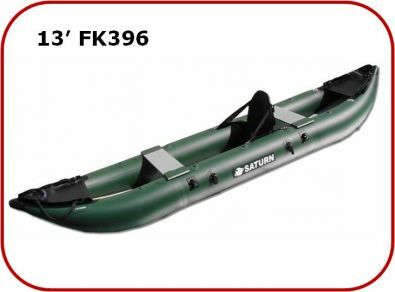 Rigid high buoyancy tubes make Saturn FK396 kayak so stable, that you can stand up and fish if needed. 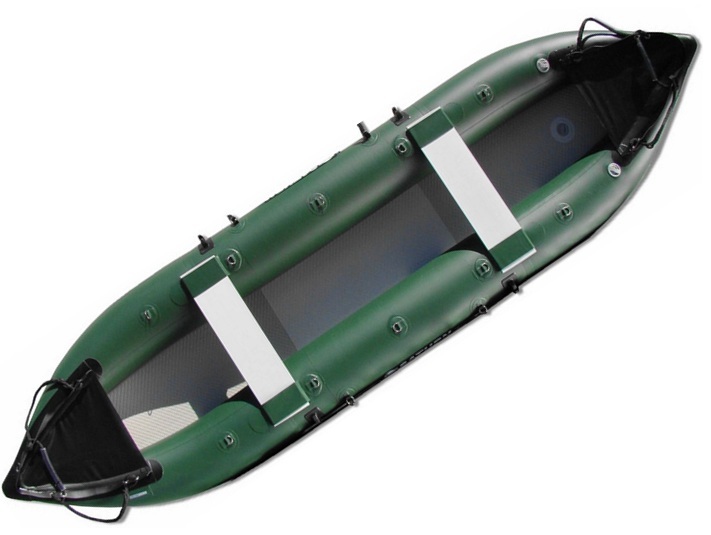 NEW - One large removable fin at the bottom for directional stability. Complimentary basic paddle included as a gift. "Great product and quality. 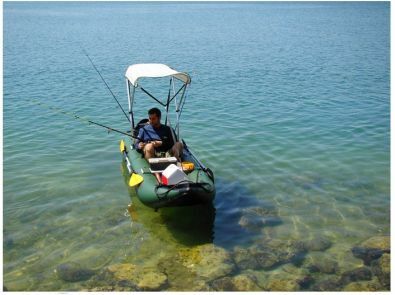 Used my fishing kayak for 2 seasons before leaving a review. Don't expect to be a performance kayak, but excellent for recreational use. With 4 fins it stays on track, easy maneuverable. Used in Algonquin park, dragged from lake to lake with cart, not bad. Enough space for fishing gear. I would recommend. Enjoy!"